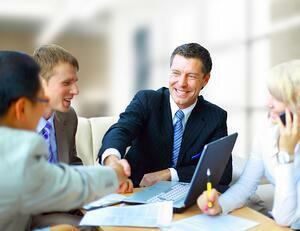 Sales and marketing alignment is a struggle that organizations have been battling for years. The primary focus of a marketing department is to generate leads, while the sales team is responsible for turning those leads into customers. In Business Utopia, the marketing and sales teams would work in tandem, aligning their roles and goals to ensure that ROI becomes a joint responsibility. But in reality, it doesn’t always look that way. It’s an interesting dynamic between the two teams. One of the top complaints about a sales team is that they don’t think the marketing team is capturing enough leads (or at least enough quality leads). And the marketing team often feels like the sales team isn’t working hard enough to send their leads down the sales funnel. There has got to be a better, more efficient way to align sales and marketing teams. Question: How can every individual on both teams believe that themselves and their teammates are pulling their weight as a team player? Smarketing, a term coined by Dan Tyre at HubSpot, defines the alignment between a marketing and sales team created through frequent and direct communication among all team members. Smarketing uses measurable goals for each team so that they can hold each other accountable (instead of their usual habits to point the finger at each other in the blame game). Does smarketing sound like the answer to your problems? Can you already envision the peaceful harmony uniting your marketing and sales teams? I see that smile creeping across your face, and I like it! Get started with these four smarketing strategies that will make your smile contagious. It all starts with hello. Communication is the first step to collaboration between your sales and marketing teams. You want each group to share processes, resources, and best practices to be successful; and communication will foster that raging success. Allow the members of your marketing team to sit in on sales calls and help close deals. Let sales staff sit in on marketing meetings when new services, product features, strategies, or campaigns are discussed so they can grasp the full scale of marketing. Schedule weekly meetings with everyone to discuss the quality of recently generated leads, track the combined team’s progress and celebrate weekly victories. You’re probably thinking, “One meeting every week? That’s a lot!” It will be easier to track progress toward your mutual revenue goal, discuss lead quality, and talk about follow-up strategies if you meet together on a weekly basis; the frequent interactions among teammates will keep the momentum rolling! Facts and data are helpful tools to overcome frustration. And we all know that it’s easy to blame the other team when the facts and figures aren’t available (because really, honestly, truly, I can’t possibly be responsible for any of the blame!). 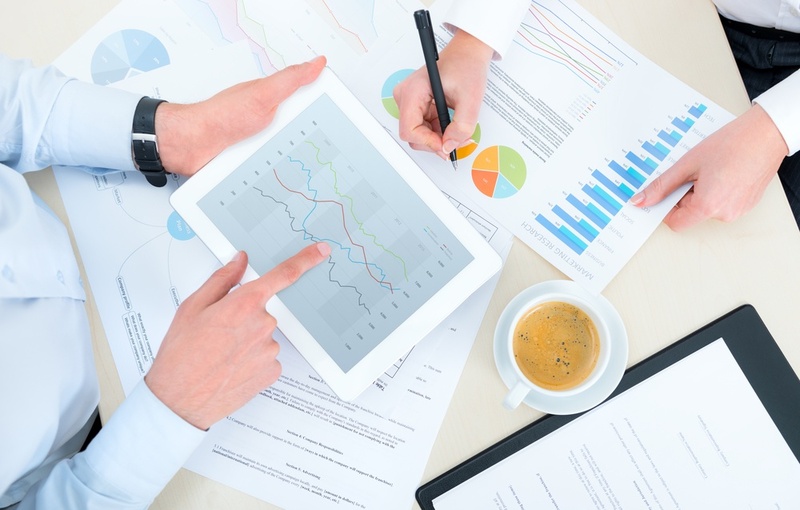 Take advantage of data whenever possible to keep your marketing and sales teams accountable to the appropriate measurable goals. Your marketing team should measure both volume and quality of the leads their generating. Your sales team should be working those leads at an impressively steady pace. By measuring the numbers, you hold both teams accountable for meeting those predetermined metrics. Share the data with both teams so that all teammates are accountable for their work and can help the other team succeed as well. Sometimes it seems like only a miracle from heaven will mend the rocky relationship between your marketing and sales teams. But in reality, a Service Level Agreement (SLA) might do the trick. An SLA maps out the expectations of each team on a monthly basis. The marketing team commits to delivering X number of quality leads, and the sales team is responsible for working a certain number of leads that are delivered. Insert a sigh of relief here. When both teams uphold their end of the agreement, there can be no finger-pointing, complaining, or foul words at the end of the month. After all, this is an office full of grown-ups, not five-year-olds. How can your marketing team know what the sales team is up to if they are operating with different information? Likewise for the sales team? Consider using the same software system for both teams. Multiple software systems allow you to manage both your sales and your marketing efforts on one platform with real-time data. If you’re currently using a system that doesn’t have a CRM or marketing automation platform built in, at least sync and integrate those two systems. No really, you’ve gotta do this first! Sharing the same system, such as HubSpot CRM system and marketing platform, allows both teams to better understand what is happening with their leads, starting when they are identified as a prospect until beyond a closed sale. 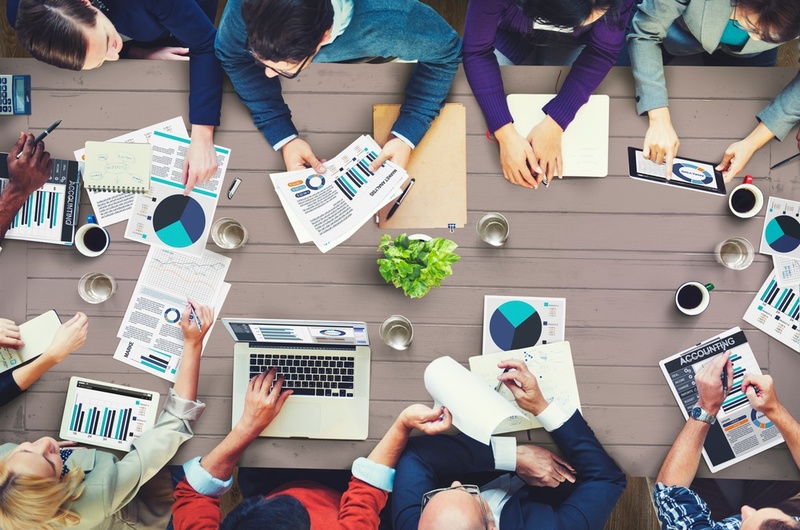 You have four proven strategies that will align your marketing and sales teams. Imagine the lack of blaming and complaining, with increased productivity and harmony when your teams work together like good sports. 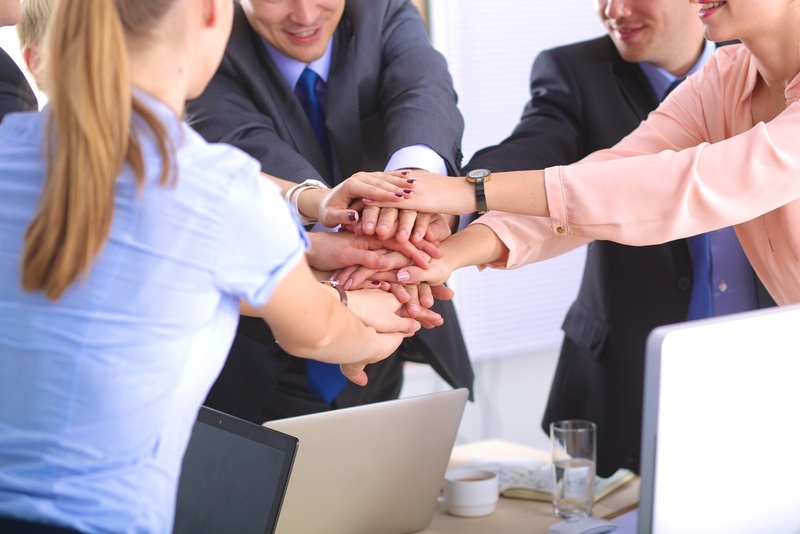 It’s time to implement these awesome strategies to unify your teams together!